Nihon Matai Group, "a manufacturer that creates value through manufacturing technology"
We manufacture heating adhesive tape for sealing miniature electronic components on paper carrier boards by our integrated production system at our own facilities, from formation of heating adhesive layers to production on a commercial basis. We are committed to delivering stable quality and responding with speed to customer demands. Nihon Matai top tape and bottom tape continue to advance together with manufacturers of electronic components around the world, and to make significant contributions to the development of surface-mounting technology through further technical innovations. 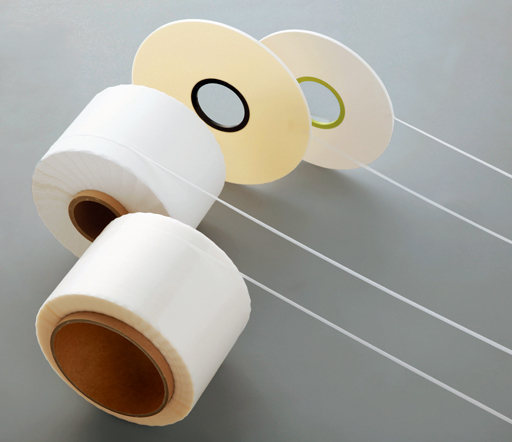 Top tape and bottom tape for covering and transporting passive components such as multilayer ceramic capacitors (MLCCs), resistors and inductors. 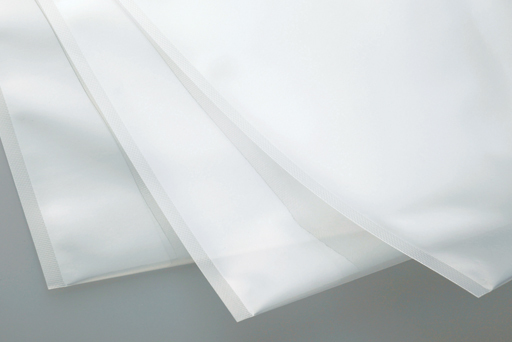 Dedicated films and bags used during the press bonding process of electronic components such as multilayer ceramic capacitors (MLCCs). Copyright (C) 2015 Nihon Matai Co.,Ltd. All Right Reserved.